YES! 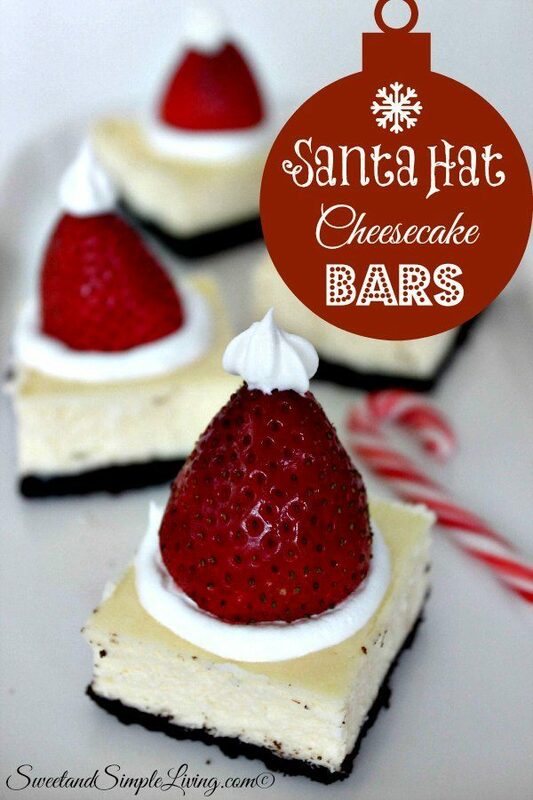 These Santa Hat Cheesecake Bars are as good as they look….no, better than they look! This is Christmas all wrapped up into one delicious treat. There’s an Oreo crust, peppermint flavored cheesecake and it’s topped with fresh fruit! Plus, they look really cute so that always gets extra points for me. 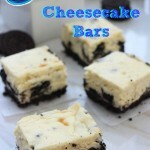 This recipe makes about 9 bars. So you will probably either need to be stingy with them, or make a few batches. 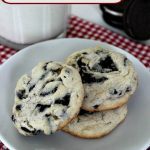 Pulse the Oreos in a food processor until they are finely crushed. 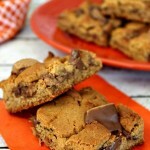 Mix together cookie crumbs and butter and press firmly onto the bottom of an 8x8" baking dish. 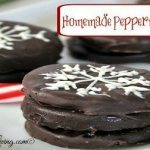 Beat the cream cheese, sugar and peppermint until well blended. Add the eggs, and mix just until blended. Pour mixture over the crust. You can spread it out evenly with a spatula, or gently shake the baking dish to even it out. Bake for 26-30 minutes or until center is nearly set. Allow to cool and cut into 9 squares. Cut off the stem tops at the widest part of the strawberries. 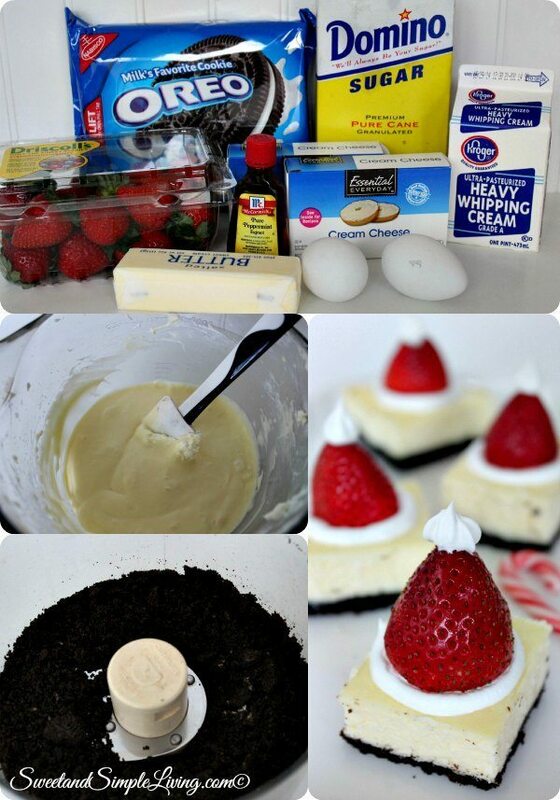 Squeeze or spray whipped topping in the center of each piece of cheesecake. 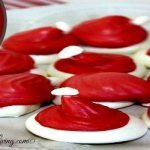 Place inverted strawberry on top and gently press to resemble a Santa Hat with fur trimming. Pipe a ball of whipped topping on top of hat. 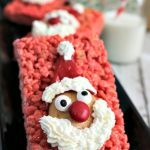 These Santa Hat Cheesecake Bars go together really easily and they are DELISH! 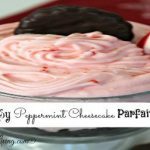 I LOVE the peppermint flavoring and this was something I had not tried before. 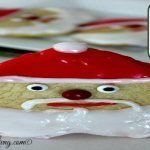 Be sure to check out some of our other festive recipes like our Frozen Candy Cane Pie or the Homemade Eggnog Cookies! You can also try this cookbook! It has over 400 recipes! !